Sorry, bounty hunter lovers, but the Boba Fett movie is officially dead. This is not some rumor or hearsay, mind you. Apparently, this is coming directly from Lucasfilm President Kathleen Kennedy, who recently re-upped her contract with Disney, meaning she's still going to be in charge of the Star Wars franchise for years to come. We first learned of the Boba Fett movie, which we assume would have been titled Boba Fett: A Star Wars Story, back in May. James Mangold, the director behind Logan, had been tapped to pen the screenplay and direct the spin-off centered on the fan-favorite character. Unfortunately, according to reporter Erick Weber, Kathleen Kennedy confirmed to him directly that the movie has been scrapped. Here's what he had to say in a recent Twitter post. Taking news from a tweet is sometimes questionable, but this is an Emmy-winning reporter stating that he heard this directly from Kathleen Kennedy. There is no reason Weber would actually drop her name unless he was certain of what he was saying. So this is about as close to ironclad as it gets. It had largely been suspected that the Boba Fett standalone was going to wind up on the scrap heap, but this puts any hope some fans may have been holding onto to bed. Many of us need to take Kylo Ren's advice and let the past die. Instead, it's time to focus on The Mandalorian, which is the first ever live-action TV series to take place in the Star Wars universe. Sad as this may be for fans of the famed bounty hunter, it's a move that makes a great deal of sense, from a business perspective. Much of this has to do with the poor box office performance of Solo, which made just $392 million worldwide. Considering that Rogue One, a movie largely centered on unfamiliar characters, grossed more than $1 billion worldwide, and considering that The Force Awakens made more than double that amount domestically, Lucasfilm doesn't necessarily have any reason to believe a movie centered on Boba Fett would be a success at this point. Even with a guy like James Mangold at the helm. And let's not forget, the Boba Fett movie has a troubled history. Originally, Fantastic Four director Josh Trank was hired to direct the standalone. However, he was fired by Lucasfilm, somewhat unceremoniously, just ahead of Star Wars Celebration in 2015, where they were actually going to show an announcement teaser for the movie. They revived the idea a few years later when James Mangold came on board. Does this mean we'll never see Boba Fett in a Star Wars movie again? Not at all. Disney is going to keep making these movies for years to come. 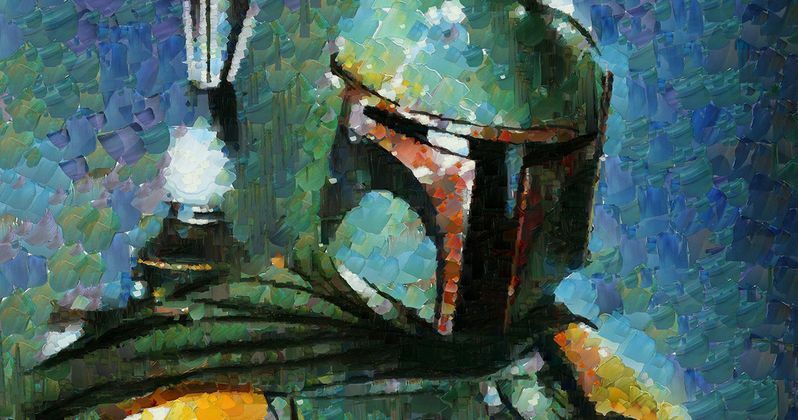 Not only that, but with the focus being on The Mandalorian, a TV show that will likely go on for multiple seasons and will center on a "lone gunman" and the seedy, bounty hunter types, it's possible Boba Fett could show up there instead. He just won't be getting his own movie, unfortunately. For now, the only movie firmly on the calendar is Star Wars 9, which arrives in theaters on December 20, 2019. You can check out Erik Weber's Twitter post for yourself below.